2 Beds – 2 Baths – Insuite Laundry – Parking & Storage all in a Pet Friendly Building! Located on one of the best streets in the Beltline! This bright, open, and spacious condo is close proximity to the downtown core & 17th ave just in time for the Red Mile! This unit has been updated and renovated with newer kitchen – granite counter tops, fixtures, cuppboards, backsplash and appliances. The extra large master bedroom is sure to impress with walk-in closet and a 2 piece ensuite bathroom. Second bedroom is also a very good size with the renovated bathroom around the corner. The open concept living/dining is flooded by natural light with large windows and is cozy during the winter with a corner feature fireplace. 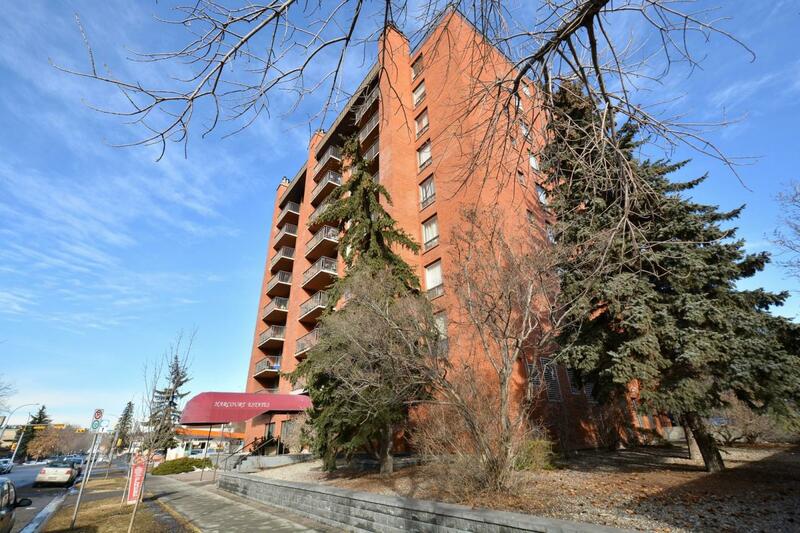 Enjoy the great views off the balcony ans close proximity to all restaurants, shopping & transit. This truly is a special location. Be sure to book a private tour of this turn-key move in ready home! Also don’t forget to click the links for additional photos, virtual tour, and information. This entry was posted in Uncategorized by mikestar. Bookmark the permalink.